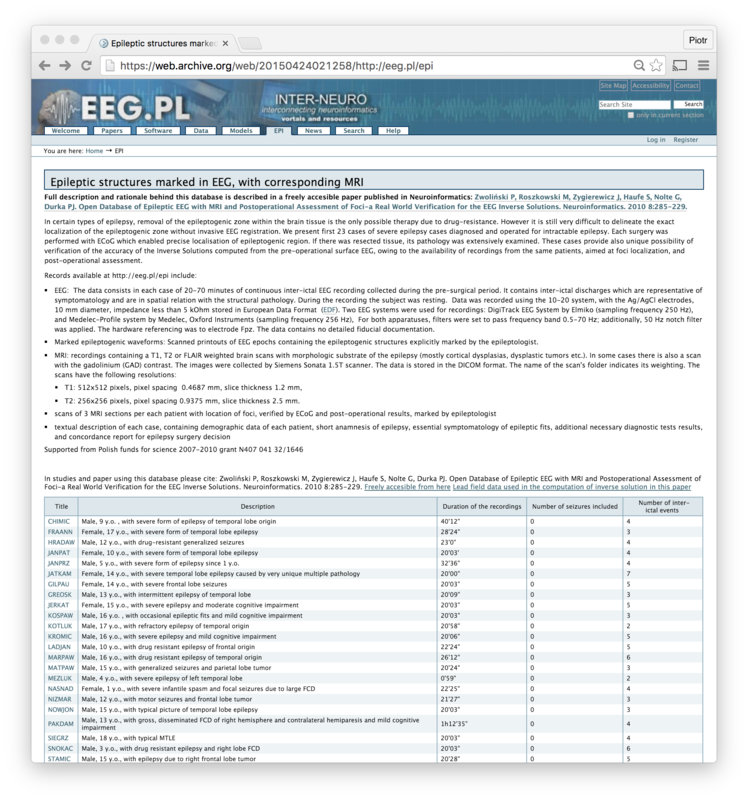 We are sorry to inform that the eeg.pl portal crashed in 2015 and is no loger maintained by the University. From the most sought after resource, i.e. files accompanying the article Zwoliński P, Roszkowski M, Zygierewicz J, Haufe S, Nolte G, Durka PJ. Open Database of Epileptic EEG with MRI and Postoperational Assessment of Foci-a Real World Verification for the EEG Inverse Solutions. Neuroinformatics. 2010 8:285-229, previously available at eeg.pl/epi, we retrieved only some files, the descriptions can be found in the Wayback Machine.